At DAN Taekwondo School, we train under the rules and guidelines of our governing body British Taekwondo. 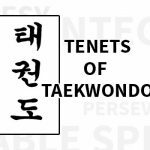 Each student has access to the British Taekwondo Generations Syllabus. It shows what you need to know and be able to do to successfully pass your next grading. Download it via the link below.